"Beauty and truth are to be found everywhere." Strand Releasing has debuted an official US trailer for the upcoming release of a Brazilian film titled Gabriel and the Mountain, which makes me think of that film The Englishman Who Went Up a Hill But Came Down a Mountain, even though the two have nothing in common. Gabriel and the Mountain is a docu-drama hybrid film, mixing fact and fiction, that features real people, places and things. The story follows João Pedro Zappa as Gabriel Buchmann, who decided to travel the world for one year before going to university. After ten months on the road, he arrived in Kenya determined to discover the African continent. Until he reached the top of Mount Mulanje, Malawi, his last destination. Cristina, played by Caroline Abras, is his girlfriend who follows him along. This looks like a deeply spiritual and thoughtful film about how much this amazing world has to offer us. Take a look below. Before entering a prestigious American university, Gabriel Buchmann decides to travel the world for one year. After ten months on the road with his backpack full of dreams, immersed at the heart of various countries, he arrives in Kenya determined to discover the African continent. Until he reaches the top of Mount Mulanje, Malawi, his final destination. 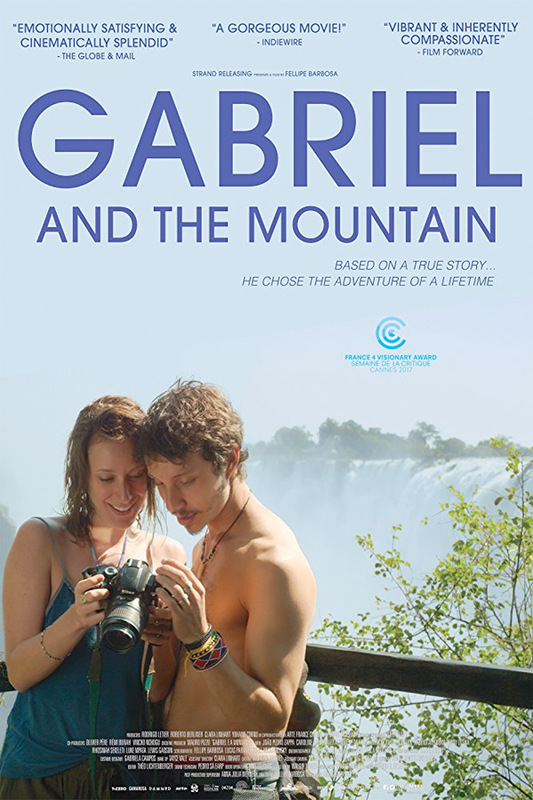 Gabriel and the Mountain is directed by Brazilian filmmaker Fellipe Barbosa, of only the film Casa Grande before this. The screenplay is written by Fellipe Barbosa, Kirill Mikhanovsky, and Lucas Paraizo. This premiered at the Cannes Film Festival last year in the Critics' Week sidebar, and played at many other festivals in 2017. Strand Releasing will release Barbosa's Gabriel and the Mountain in select theaters starting June 15th this summer. Who's interested in seeing this film?